Kim Kardashian and Kanye West have reportedly been targeted by criminals once more. Three of their luxury cares are said to have been ransacked by a burglar at their Bel Air home, before he made a getaway from the scene. But not before he was caught on surveillance cameras, according to TMZ . Law enforcement sources tell the website that the burglary happened at around 4am on Friday. 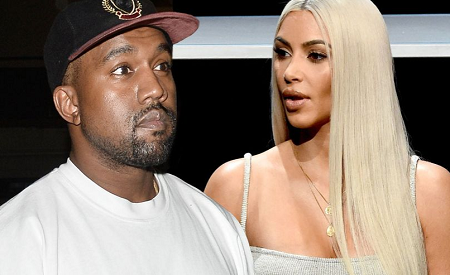 It’s said that the suspect never entered their home, but trashed three of their cars that were parked in the driveway before stealing an iPhone that belongs to one of Kim and Kanye ‘s workforce. According to sources, the suspect was spotted on the property by security and chased away, and his image was handed to investigators. However, a source close to the couple told Mirror Online that nothing was stolen and that the car actually belonged to a staff member. None of Kim and Kanye’s cars were broken into and the intruder attempted to steal something from the vehicle but dropped it when he was startled by security agents with their guns drawn. And it’s said that the suspect didn’t stop at Kim and Kanye’s, also hitting Kathy Griffin’s place next door, again trashing a car in the driveway as well as stealing a purse. The purse was apparently found discarded nearby.